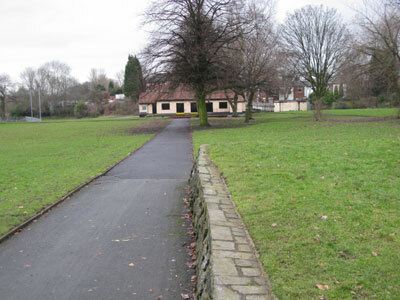 A small narrow park lying between Stockport Road and the River Mersey. There is an attractive pavilion in the park which is used by the community. There is also a bowling green and a multi use games area and a hard standing play area near to the pavilion with grassed areas on both sides of the central block.